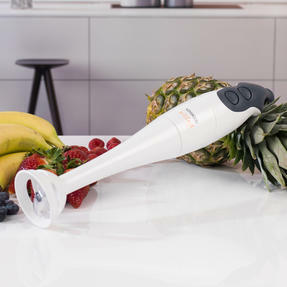 Make swapping carb-heavy diets for healthy fruit and vegetables with this superb hand immersion blender and electric spiralizer set from Kenwood. 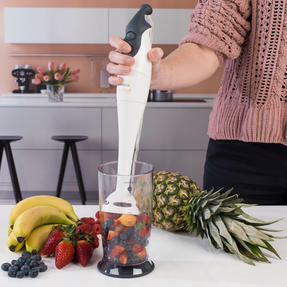 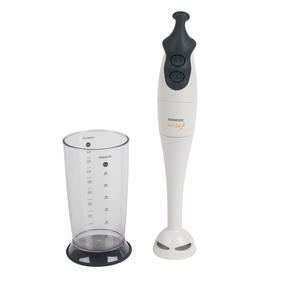 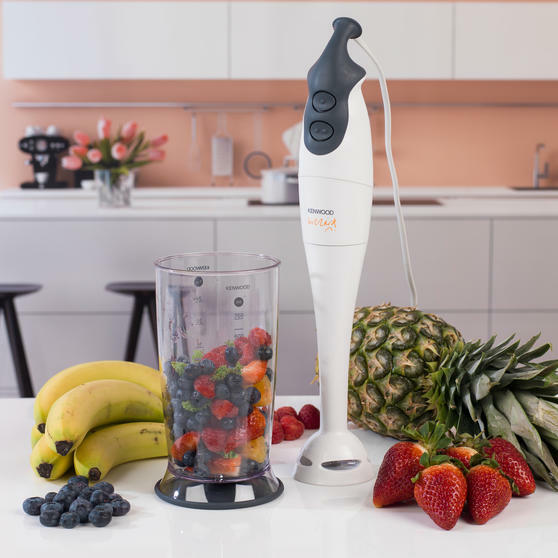 The dual-speed blender has an ergonomic SureGrip handle and durable stainless steel blades so you can blend your ingredients to the perfect consistency every time. 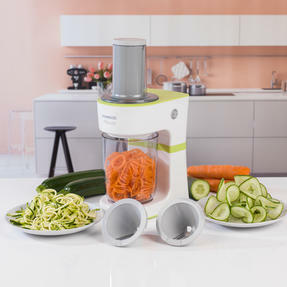 The spiralizer has a half litre container and includes two spiralizer bladed cones to achieve different textures from your ingredients, making it easy to add a fresh new twist to your salad. 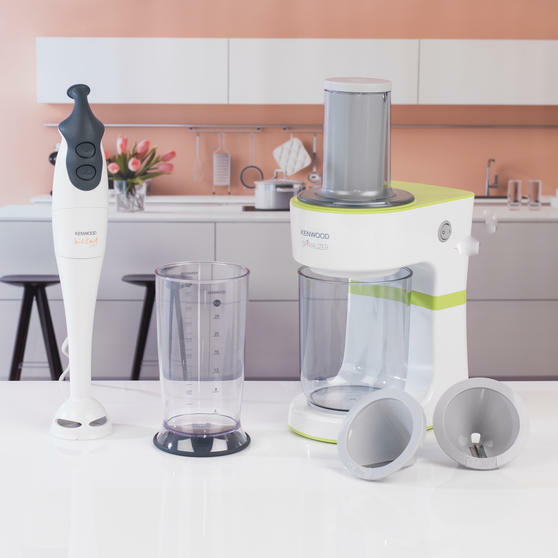 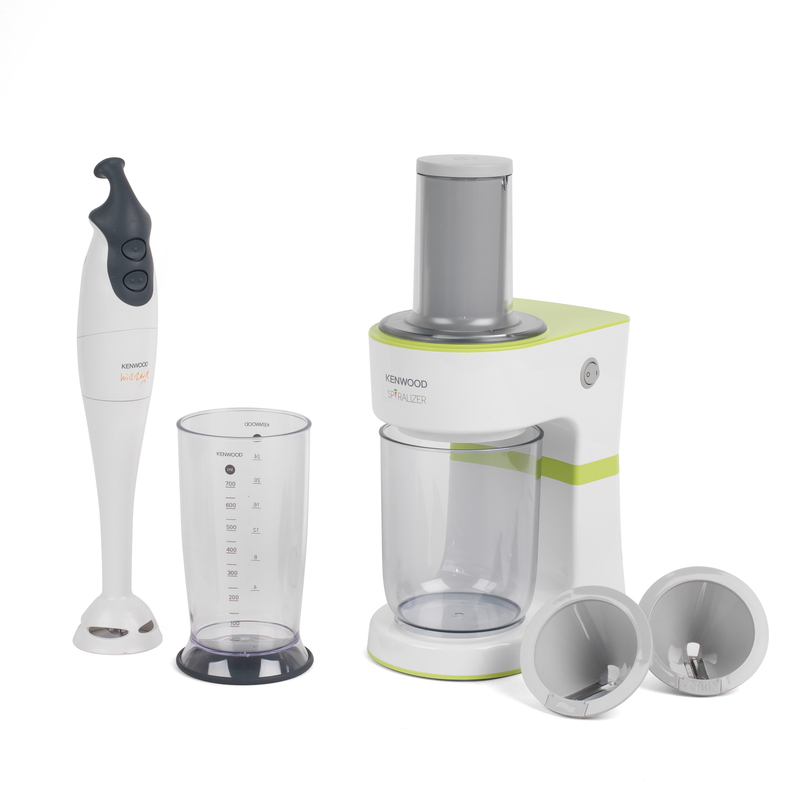 Perfect for a kitchen gadget connoisseur, this set includes an innovative Kenwood Hand Immersion Blender and an Electric Spiralizer. The 70 W spiralizer is equipped with a generous 0.5 L container to catch your fresh spirals, leaving your worktop clean and mess free. 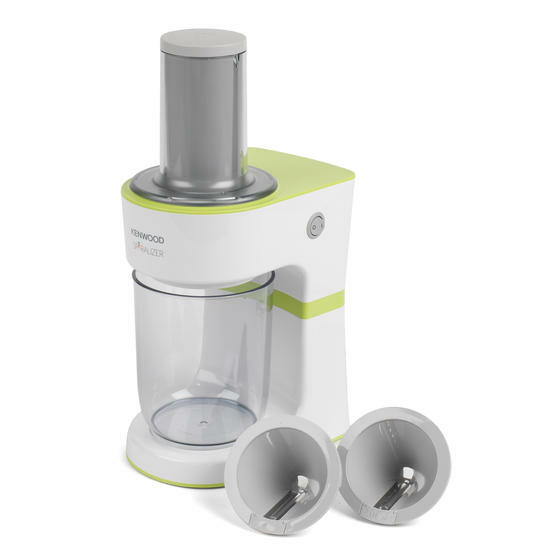 Two interchangeable Pappardelle and Linguine cones are included, so you can create a variety of stylish shapes to wow your guests.